managing other users, by assigning a specific role to each of the users. Subscriber: The user which is assigned the role as subscriber can subscribe the the website by entering its email id or whatever information it is asking for. 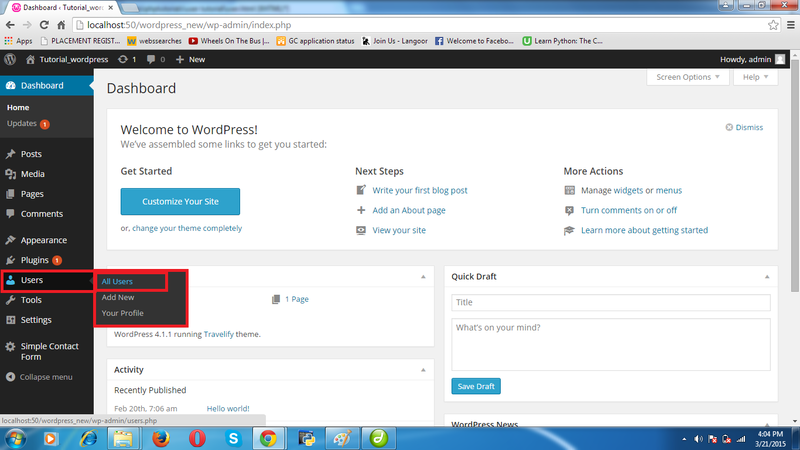 Contributor: Contributor can write and manage their own posts but cannot publish them. 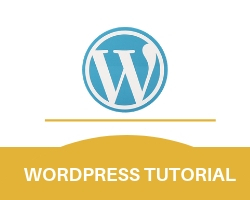 Author: Author can publish and manage their own posts. Editor: Editor can publish and manage posts of himself and other users too. Administrator: Administrator can also be called super user. This type of user has all the administrative access to that particular website. strong>step 1.Go the users in the left bar of the screen and click on all users. step 2.It will display the all the existing users. step 1.Go the users and click on add new. 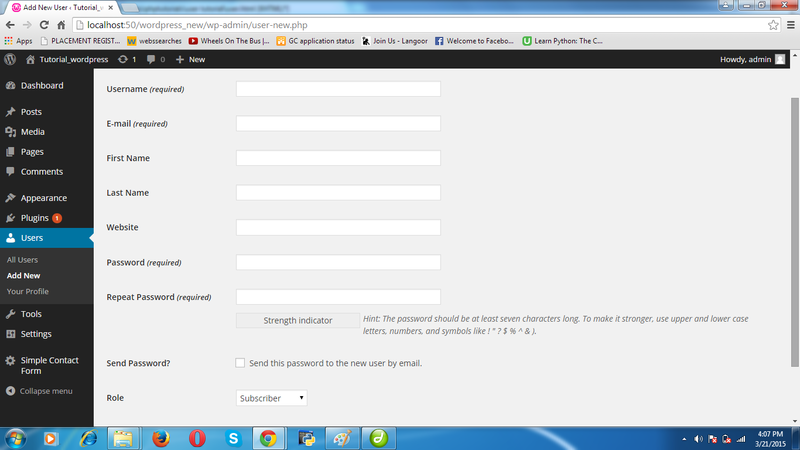 step 2.Fill the form to add new user and assign its role like (subscriber,contributor,author,editor,administrator). step 3.Click on add new user. step 1.Go to users and click on your profile. 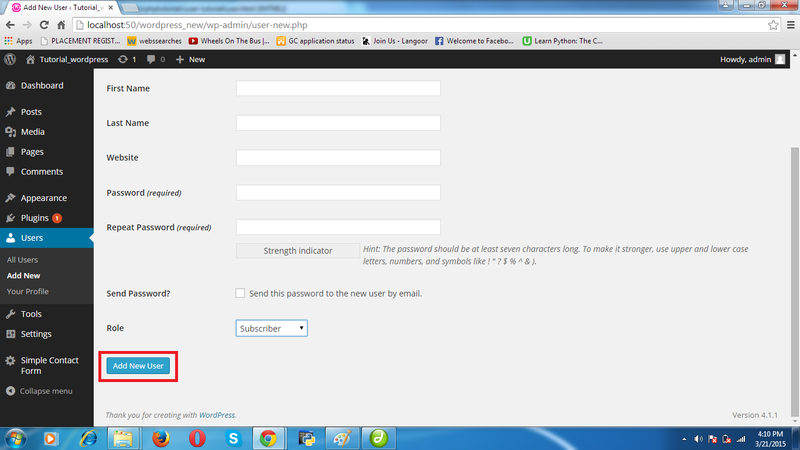 step 1.fill the form and scroll down the screen and click on update profile.